There’s always been a pattern about Arsenal’s Premier League campaigns during the previous years. They make a poor start to the season, pick up form somewhere in the middle, stutter again around February and finally, peak when they are mathematically out of the title race to keep the hopes of a glorious next season alive. As a result, the fans would remain patient and refrain from taking matters into their hands in relation to the constant underachievement for a club that charges the highest ticket prices among any other team. But this time around, the pattern, it seems has no longer been stuck to. Arsenal peaked way too early, they fell off the track somewhat and are still trying to recover only to fail comprehensively in their desperate attempts to salvage a season that has had two starkly contrasting halves for the Gunners. For the first time since us all of us can remember, Arsenal are boring to watch. They are all about possession without penetration, passing without precision and playing without passion. Succinctly, Arsenal are all mouth and no trousers: they call themselves a European giant even though the performances suggest otherwise and more so now. All of that is down to the fact that a lot of players in this Arsenal squad quite simply have run out of the required drive to be able to carry on at the highest level, at least at Arsenal. Anyone who has watched Arsenal play in the recent weeks knows just how fed up some of the players look in the team. They don’t appear to be cohesive, or even willing to play anymore. Add to that, the acidulous atmosphere at The Emirates Stadium and there’s a potential disaster reaching its boiling point. As much as it hurts to say, Arsene Wenger has to take some of the blame for the current mess at Arsenal. Perhaps, it’s the Frenchman’s stubbornness that has been both the club’s and his own undoing. We all know where the problems are for Arsenal and everyone’s tired of talking about them – their style of failure has become more repetitive and predictable than their brand of Football. What’s shocking here is Wenger’s reluctance to address those obvious problems despite having all the resources in the world. He is a man of principles and a certain philosophy which is highly commendable, but at some point of time, he has to stop being so obstinate as that is nullifying his own legacy at the club as much as it is destroying the identity of it. There’s always a next season to make amendments and correct what went wrong the previous season. But the question is, will 2016/17 be that season? It better be. 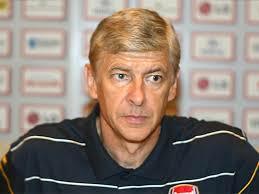 There have been a lot of occasions when Arsene Wenger has been under immense pressure, but this time, it’s as if he’s on the edge of a twibill and the club on the other hand is heading towards no man’s land, i.e., it lacks direction. The times call for the “Le Professeur” to wake up from a long sleep for the one last time maybe. If Wenger is the problem, he’s where the solution is too.